Finally got around to doing the color on this. (Yes, it’s been a few years. I’m puttering through some of my old image files right now and seeing what loose ends there are to tie up. Featuring Cronus (much nibbled upon). Share the post "Y!PP Doodle: G’rooth the Time Nibbler (Updated!)" 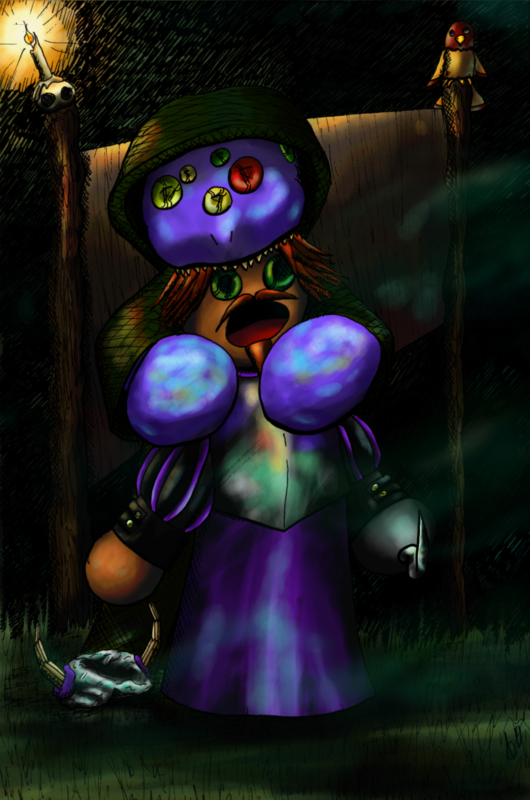 This entry was posted in Art and tagged avatar, Cronus, doodle, G'rooth, Ocean Master, Puppet, puzzle pirates. Bookmark the permalink.